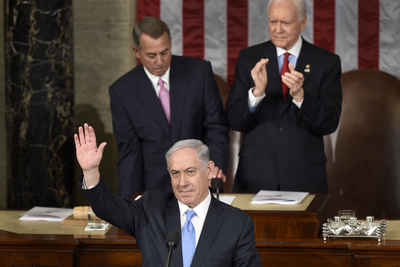 With Israeli Prime Minister Benjamin Netanyahu's speech to Congress in the rearview mirror, the obsessive focus on the process, tactics and politics surrounding that decision should abate. Attention must now turn to the substance of the policy and the strategy laid out by the White House to prevent Iran from attaining nuclear weapons. At present, the prominent feature of the negotiations has been permanent American concessions in exchange for temporary and reversible Iranian actions. If Iran does not accept a demand by the P5+1, then the U.S. asks for less. For example, the White House used to agree with Netanyahu on the danger of allowing Iran to maintain its nuclear production infrastructure until they refused to move on the issue. So by 2012, the U.S. changed its position from one where the focus of prevention was on Iran's capability, to its acquisition of a nuclear weapon. The gesture shredded years of American efforts to gain international agreement on preventing Iran's uranium enrichment and hung its Middle Eastern allies out to dry. Nuclear talks with Iran began as an international effort, buttressed by six U.N. resolutions, to deny Iran the capability to develop a military nuclear option. They are now an essentially bilateral negotiation over the scope of that capability through an agreement that sets a hypothetical limit of one year on an assumed breakout. The impact of this approach will be to move from preventing proliferation to managing it. As more details emerged in February about the negotiations and were confirmed by U.S. officials, it became apparent that the Obama administration's concessions were not only bad for Israel, but deeply harmful to American interests as well. The deal moved from an internationally agreed zero enrichment proposal with sanctions and all options on the table to back up those demands, to allowing Iran to keep 1,000, then 4,000, then 6,500 and perhaps more centrifuges spinning. The Islamic Republic would also be allowed to keep its enriched uranium up to a certain level, while manufacturing newer generations of more efficient centrifuges. Instead of dismantling the key components of Iran's nuclear infrastructure, it would now unplug them instead. In this deal, key program components would be left like a child's toy whose parts have already been manufactured and merely require assembly. There would be no limit on Iranian ballistic missile production or any check on its weaponization program -- Iran's supreme leader said no, so the Obama administration capitulated. Verification of Iran's compliance and enforcement of material breaches would also prove nearly impossible, even in the best of circumstances, and even if the regime in Tehran could be trusted. This week the United Nation's atomic watchdog, the IAEA, declared -- not for the first time -- that Iran was being dilatory in its cooperation with the agency. As inspectors during an agreement's implementation, they would document violations, but not prevent them. An even dicier proposition is that this unenforceable deal would leave Iran as a nuclear threshold state, with the ability to break out towards a nuclear weapon should it decide the deal was no longer in its interest. And if the Islamic Republic made that choice would the U.S. be able to act fast enough after exhausting more inevitable rounds of diplomatic sanctions after endless UN debates? History has proven otherwise. Perhaps the most startling provision being discussed is the "sunset clause" during which Iran would be rewarded with additional sanctions relief for the image of compliance. The sunset clause means the deal would expire in a set number of years -- currently between 10-15 years are being discussed. That means in the best case scenario, Iran would be able to continue the processes that would give them the bomb during the deal's enforcement, and then they would be free to make as many nuclear weapons as it wished when the agreement expires. We've sure come a long way since Obama's first major foreign policy speech in Prague in April 2009, where he laid out his agenda for a nuclear-free world. Indeed, the current plan is not a prescription for prevention but, rather, it paves Iran's path to a nuclear weapon. The Obama administration should answer the substance of the Israeli prime minister's concerns if the Jewish State is supposed to live under the ever-expanding shadow of Iran's nuclear umbrella. The American people should ask their representatives to weigh in on this momentous decision the White House hopes to make. If the deal is so good, why is Barack Obama moving to block any role for Congress in approving this historic agreement? And why drag Benjamin Netanyahu through the mud if all he did was to point out the deal's glaring deficiencies? Why does Team Obama shun an open and honest debate on the merits of its six years of negotiations? Benjamin Netanyahu came to Washington to explain why Israel could not live under such an arrangement. The Obama administration and some members of Congress dismissed the existential threat for the Jewish State, sneered at his tactics, and treated him like an enemy of the state. The best response the White House could muster was that he provided no alternative plan to that of Washington's -- the only game in town. But as Netanyahu made clear, it is better to walk away and reinstate crippling sanctions than it is to accept this dangerous agreement. It is better to learn from history when it demonstrates so clearly that Iran's leaders only move when they are pressured, not rewarded. And it is better to hold a great and public debate over the substance of such a far-reaching deal than it is to hide the details from Congress and berate America's allies. Let that important debate begin in earnest the day after Netanyahu's speech.